Today I am delighted to share with you episode two of my best of family travel interview series. Last month I had the pleasure to host here the Wandering Wagars, a fantastic family from Ontario who shared with us their travel habits and stories. 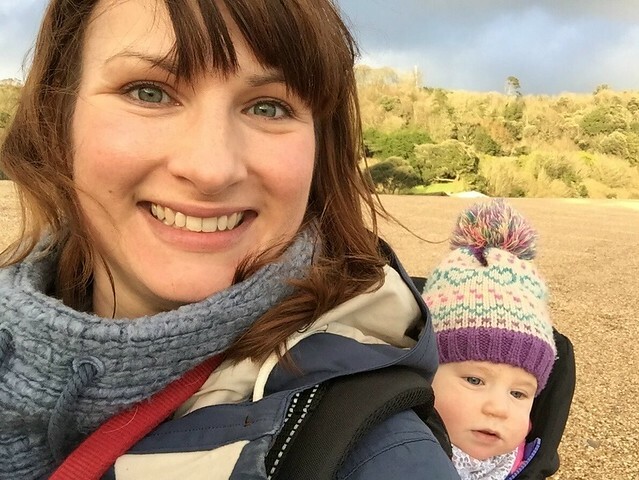 This time, I am moving to this side of the Atlantic and I am interviewing Claire, author and family travel blogger extraordinaire at the Tin Box Traveller. What is your blog about: Tin Box Traveller is a UK-based family travel and lifestyle blog aiming to inspire others to explore new places. It focusses on activities and adventures suitable for pre-school children and their travel happy parents. Tell us about your family: how many of you and how old are your children? The Tin Box family has been growing in the past year and there are now four of us, plus our four-legged friend, Tin Box Dog. Tin Box Tot is three-years-old and Tin Box Baby will turn one in May. Where is home and where are you right now? Home for us is near Portsmouth in the south of the UK, but we have recently moved to Devon in the south west. Mr Tin Box is in the Royal Navy and Dartmouth is his latest draft. We hope to be here for at least a year as it’s a beautiful part of the country and a great place to explore with kids. How did you come up with the idea of a travel blog and when did you start writing? I started writing a diary when I was a kid. Later I became a journalist and then moved into public relations. I can’t remember a time when I didn’t write. However, having a blog has allowed me to write for myself, just like I did when I was a lot younger. Tin Box Traveller as launched in 2012 just before I went on maternity leave with my first baby. I didn’t have much of an idea what I wanted to do with it at the time – I just knew I wanted to write. I started by sharing posts about caravanning – something I did a lot as a child and had just started doing again with my husband. However, my posts were few and far between. That’s when I decided to write about family travel in general. I had a lot to share and found I really enjoyed this broader genre. What is your favourite kind of travel: independent, all-inclusive resort, cruise, a mix of all? What do you like about it? I wrote a post about the different types of traveller last year and as I listed them I could see a piece of myself in each one. We’ve done road trips, all inclusive holidays and a lot of camping. I’ve loved each experience and would go back and do them all again. This year we’re going on a family cruise for the first time. If this experience is any different I’ll let you know! How do you decide on a destination? If you have older kids: have you ever had an epic fight over where to go? At the moment our girls are too young to voice an opinion (or at least one that doesn’t involve a lot of incoherent screaming), so destination planning is all down to us adults. While that sounds great, the biggest influence on our travel planning is our finances. I’ve been on two periods of maternity leave in the past four years and we bought a house. So saving for holidays has been difficult. The only reason we are going on a cruise this year is because I won it. Yes, I’m still pinching myself. Most of our travels in recent years have been in the UK. You visited many countries: do you have a favourite so far? And your kids? Between us we have been to about 30 countries. Some visits have been flying while others have been for months or even years. Out of all of them I would love to return to the US where we spent part of our honeymoon. A coast to coast road trip is top of my bucket list. Meanwhile my eldest daughter has only been abroad once and my youngest will experience her first foreign trip this summer. Do you have a dream destination you haven’t managed to go to yet? So many! Where do I start? I would love to visit Australia, China, Croatia…the list goes on. Many people are afraid of travelling with children: safety concerns, fear of the holiday being a lot like hard work: what is your best advice to make a family holiday a success? The most stressful part about travelling with kids can be getting there. Get that part wrong and whole holidays can be ruined in the aftermath of bored, irritable children. So, my best advice is to plan your journey meticulously. If your kids get cranky when they’re up late, book daytime flights. If they’re always full of beans during the day, book night flights. There’s plenty of travel bloggers out there who have flown with kids from the time they were babes in arms. Check them out to calm your nerves. If you’re still not convinced (after all, only you know your children) look at other ways of holidaying. Travel doesn’t always have to be across continents. Exploring what’s on your doorstep can be just as rewarding. One final thought on this topic: your kids are always more adaptable than you think. Be brave, they may surprise you. What kind of packer are you: carry-on only or everything but the kitchen sink? Is there one item you never leave home, no matter where you go or how long for? I am definitely a kitchen sink packer! I always come home from trips with piles of clothes that are crumpled up but unworn. The items I would never leave home without are my iPhone and a charger. I am addicted! I am sure you have some great stories from your travels: share one with us! My biggest travel mishap has to be the time my luggage went missing while I was flying to Prague for a girly weekend. I had made the rookie mistake of not putting contact details on my luggage. So when it didn’t find its way to the carousel in Václav Havel Airport I was left with one set of clothes, my camera and a pair of hair straighteners to last me four days. When my bag still hadn’t arrived 24 hours later we had to waste a morning hitting the shops rather than the sights while I picked up some essentials. The saga didn’t stop there. When I returned to the UK my bag was in lost luggage – the flight label had been ripped off, which was frustrating but a relief! The airline asked me to send them receipts for the items I had purchased and said they would compensate me. Weeks later I heard that the airline had gone bust. My receipts were with the liquidators and there was very little hope of a refund. There are a few lessons to be learned: always label your bags, and always seek compensation for lost luggage from your insurance company or credit card provider – they are less likely to go belly up! I hope you enjoyed this interview! Are you a family travel blogger or do you know one you’d like to see in this series? Get in touch: I’ll be delighted to host you and hear your stories!